We are delighted to be sponsoring the very First PanPastel Challange Blog. 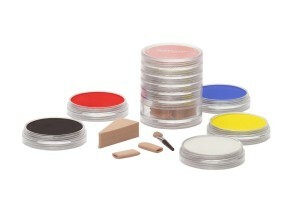 PanPastel is a unique range of dry pigment colours that can be used on a whole range of surfaces. The product was originally conceived for the Art market but as it can be used to create fabulous results in Card Making, Scrapbooking and Altered Art, it is quickly being adopted by the crafting market. To learn more about the challenge and the prize on offer why not visit the blog. I’ve attached a link here for you. The Newly formed PanPastel Design Team have and will be adding more of their creations to the Challenge so you can see exactly what this product can do. You can enter upto 2 of your creations, the first can be done with any media, the second needs to be done with PanPastel. For a nice easy start, the theme for this weeks challenge is “Anything Goes”. I hope you enjoy it and have some fun in the process.